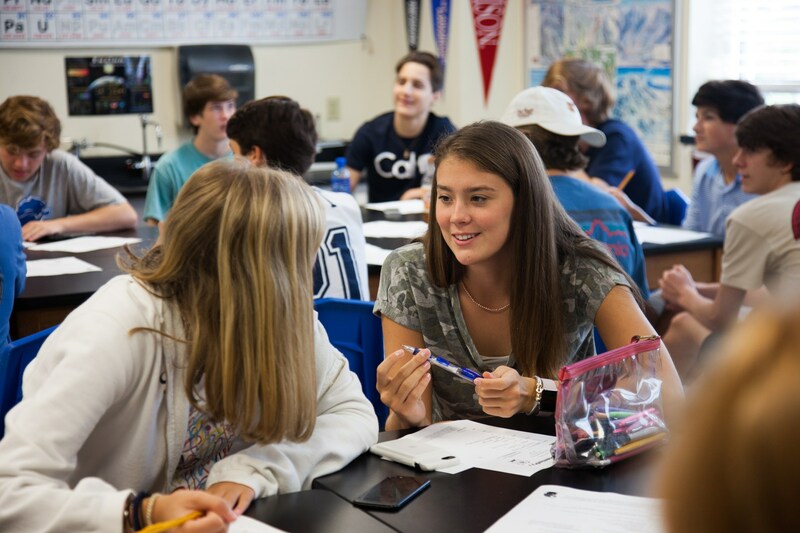 In November 2015, HPISD voters approved a bond issue that was set forth by a Community Facilities Advisory Committee and approved by the School Board. Part of the plan will see the construction of the first new elementary school in Highland Park ISD since 1948. The school, which is planned to open in August 2017, will be located on HPISD land, previously owned by Northway Christian Church and will be bounded by the church to the west, Northwest Parkway (the access road to NW Hwy.) to the north, Durham to the east and Wentwood to the south. The sale of the property to Highland Park ISD was completed in Spring 2016. 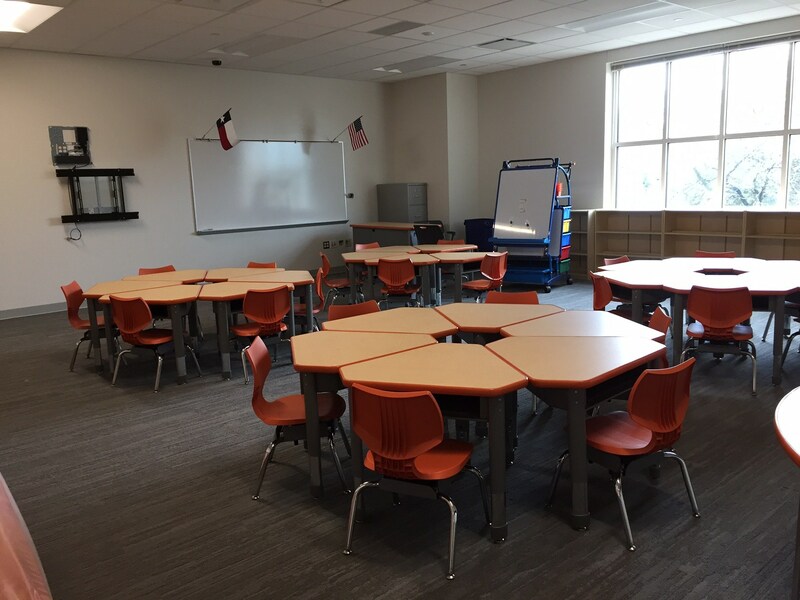 Planning for the school began in earnest in the summer of 2015 when several HPISD teachers, administrators and community members visited school campuses in other districts to study the features and benefits of recently constructed classrooms. Many of the components they observed and wanted to include are being incorporated into the new school. Since then, focus groups consisting of community leaders, neighbors, parents and teachers have provided and will continue to provide, valuable feedback into the final plans for the school. at the request of neighbors, a lane entering from the north side of the school in order to minimize the number of large delivery and trash trucks on Durham and Wentwood. The school will temporarily be used by students from Hyer and University Park while each of their schools are being rebuilt. Click here to read about the rebuilding process. Documents and presentations, in regard to the new elementary school, have been posted below to keep the community informed about the school's progress. This page will continue to be updated as new documents become available. In response to recent claims, Highland Park ISD has released the following statement regarding restrooms at the new elementary school: The safety and security of HPISD students is behind every decision made regarding facilities. The interior design of the school, including restrooms, will be reviewed by a committee made up of parents and educators.The district is always sensitive to the thoughts and concerns of our parents. If parents and staff are not comfortable with the proposed plans, changes can be made. We will continue to consider input as we finalize the interior design. Any plans for restrooms in the new school will be designed to ensure student safety and individual privacy. Plans shown on the initial design of the school – which have yet to be finalized – were based on well-established practices in modern school design. The layout allows students to move more quickly through restrooms and for greater teacher supervision in the areas around the sinks. The initial design for the restrooms at the new school has separate areas for boys and girls, with doors in their respective toilet areas. There will be no sightlines into individual stalls for anyone standing outside the immediate area. The district is committed to keeping the community informed about the progress of the new elementary school and other facilities updates. As Highland Park ISD prepares for construction of its first new elementary school in nearly 70 years, the Board of Trustees received an updated look at the design of the campus. The presentation was made during the March 15 School Board meeting. The library at the front of the school now features a more traditional design. The south side of the campus facing Durham has been updated, and now features a symmetrical design. The north side of the gym now has doors leading directly to the outdoor play area. "I appreciate the feedback we have received from community members regarding the design of this school," HPISD Superintendent Dr. Tom Trigg said. 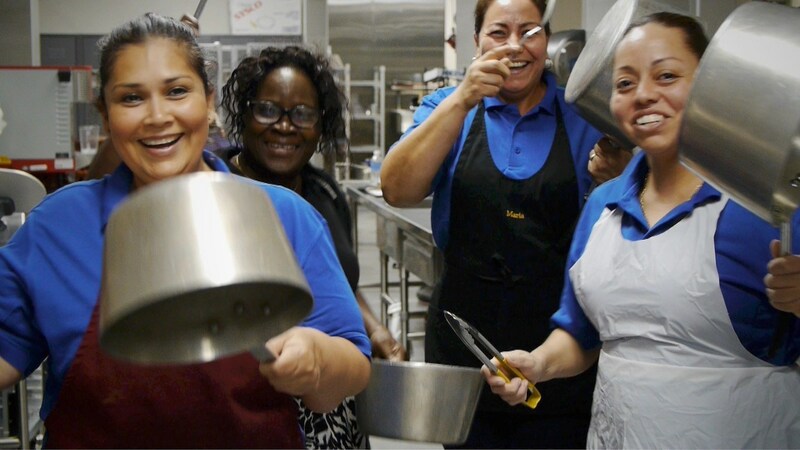 "This community has a long-standing love for its schools, and the district strives to create a school that fits into HPISD's proud tradition of excellence." Click here to view the full video presentation from the school board meeting, and click below to view the powerpoint shown. The Highland Park ISD Board of Trustees got its first look tonight at initial plans for the district's first new elementary school in nearly 70 years. The school, which is planned to open in August 2017, will be located on land currently owned by Northway Christian Church and will be bounded by the church to the west, Northwest Parkway (the access road to NW Hwy.) to the north, Durham to the east and Wentwood to the south. The sale of the property to Highland Park ISD is still on schedule to be completed this spring. 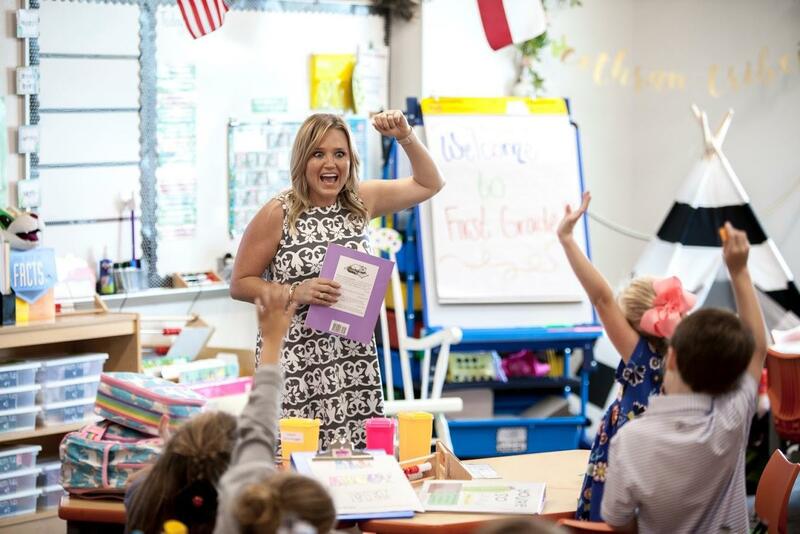 Planning for the school began in earnest last summer when several HPISD teachers, administrators and community members visited school campuses in other districts to study the features and benefits of recently constructed classrooms. Many of the components they observed and wanted to include are being incorporated into the new school. Since then, focus groups consisting of community leaders, neighbors, parents and teachers have provided, and will continue to provide, valuable feedback into the final plans for the school. -at the request of neighbors, a lane entering from the north side of the school in order to minimize the number of large delivery and trash trucks on Durham and Wentwood. "As a board, we pledged that we would be transparent in how we approached our decisions in relation to the bond election approved by voters this past November," said Joe Taylor, president of the HPISD Board of Trustees. "It is exciting to see the work that has taken place so far on this school. We are heading in the right direction in building a new school that will provide both an outstanding learning environment for students and instill continued community pride in Highland Park ISD." "This facility is still a work in progress but we are getting closer to a final design," said Dr. Tom Trigg, Highland Park ISD Superintendent. "We sincerely appreciate all of the input that has been received so far. As this is the first elementary school in HPISD in nearly 70 years, we want to make sure that it is reflective of the community's proud tradition of excellence in its schools." The property is a challenging location on which to build a school for three reasons: 1) it slopes 20 feet from north to south; 2) it is accessible to city streets from only three sides, and; 3) at 4.3 acres, it is far smaller than most other elementary school campuses throughout the region and the state of Texas. 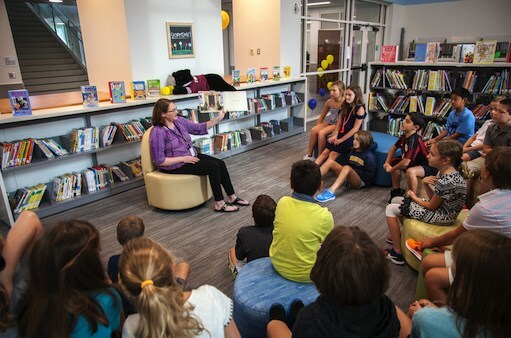 "Our team approached this school with the goal of creating the best possible long-term learning environment for the students of Highland Park ISD," said Jonathan Aldis, lead architect for Stantec, the firm selected by the board to serve as the district's architects. 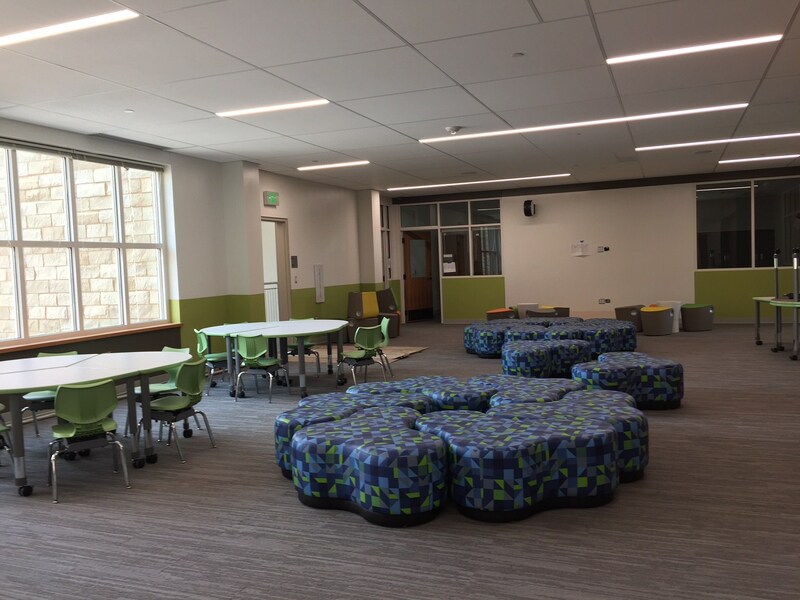 "This school is being designed from the inside out in order to maximize the building's instructional potential." The initial design calls for the school to be a red brick pattern similar to that of Highland Park High School. 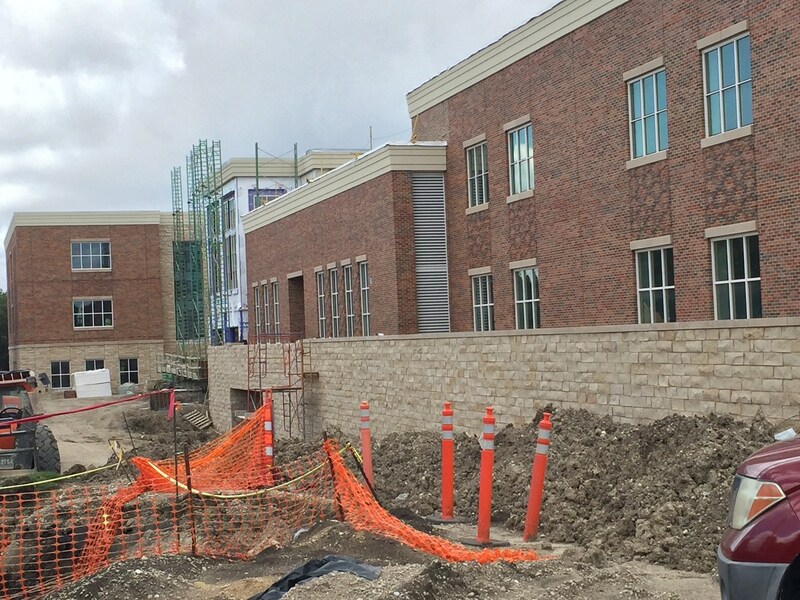 Due to the slope of the land and in order to be able to serve 770 students, the school will have three stories on the south side and two stories on the north side. 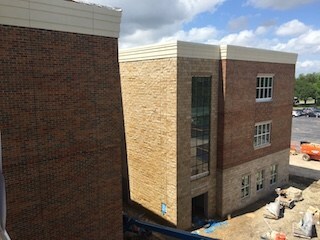 The school's main entrance will face Durham and will feature a state of the art library as its centerpiece. 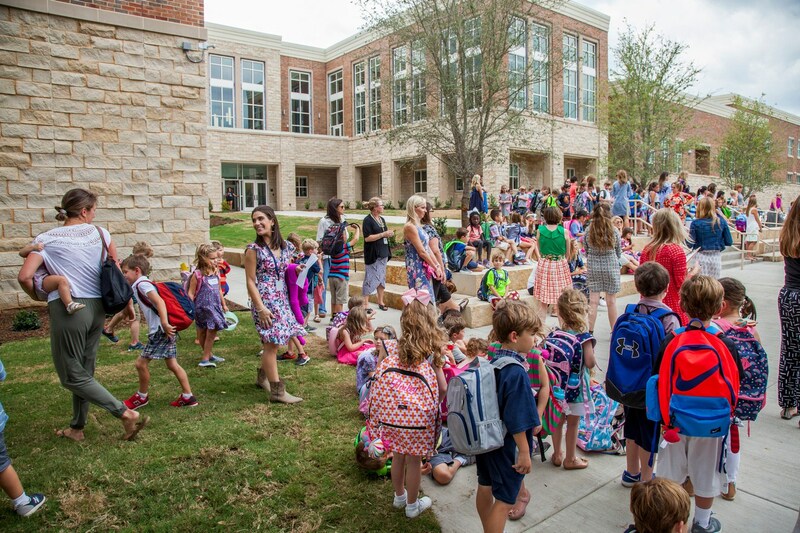 "The aesthetic of the exterior of the school is something that we are committed to getting right," said Jim Hitzelberger, the board's Facilities Chair who has been instrumental in the planning process. "We know how much pride this community has in the look and feel of its schools and we are continuing to refine what we already have. 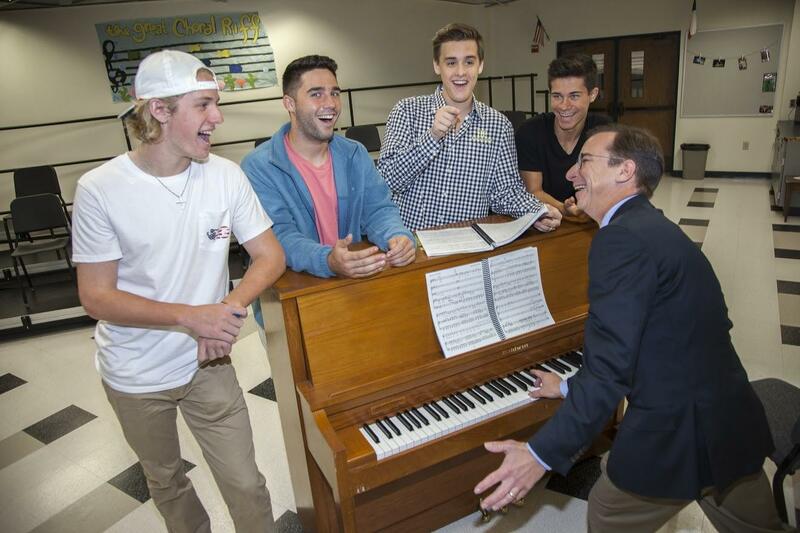 At the same time, it is important for each of the schools to have its own unique sense of character. This initial design is a step in that direction." Current plans for the school call for construction to be completed in the summer of 2017 with an opening in August 2017. The school will temporarily be used by students from Bradfield, Hyer and University Park for one year each while each of their schools are being rebuilt. The order of which schools will be rebuilt is still under consideration. To view more design renderings of the new campus, click here. The district has set up an email address to receive community feedback on the initial design of the new school. Please send your feedback to hponline@hpisd.org. 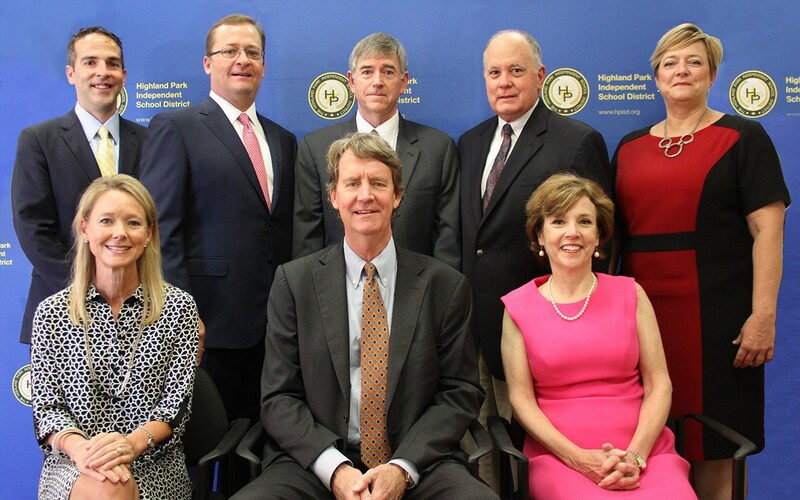 Click here to view the full video presentation from the School Board meeting.